The new portal is a way to communicate with all academic and research institutions. 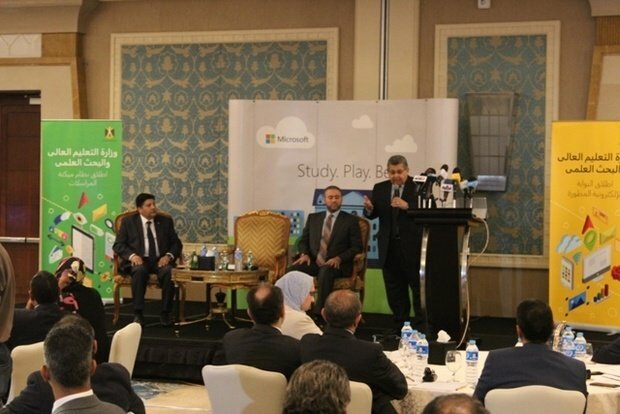 In cooperation with Microsoft, the Ministry of Higher Education launched it’s new electronic portal (portal.mohesr.gov.eg). Minister Yehia Al-Shehi stated that this portal aims to faster, more efficient communication between different institutions of the ministry. The portal is one of 3 steps taken by the ministry to make use of the electronic communication infrastructure that Egyptian Universities have. 1st is the portal, 2nd is switching to paperless administrative work and 3rd is the smart universities experiment for which Suez University will be a prototype and if successful the experiment will be applied to all universities and research institutions. Al-Shihy stated that the electronic communication will solve the problem of losing important document by electronically archiving and will save time, space and efforts. The portal will also offer an easier way for creative and innovative Egyptians to communicate their ideas to the research institutions easily and efficiently. The Minister also thanked the minister of communications for the help his ministry offered in setting up the portal and also Microsoft the trusted partner of the Ministry.